This is a nice book which covers a broad range of topics. Starting from basic units and measurement it covers most of the important topics one requires. 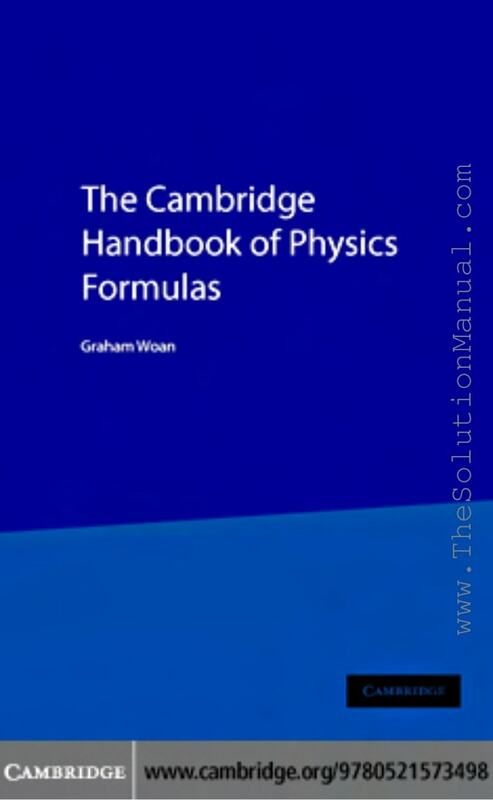 It includes more than 2000 of the most important and useful physics and mathematical equations. An exhaustive index that allows one a quick access to the required formula. I CAN NOT DOWNLOAD THIW BOOK...HOW CAN I? I also can't download this book...! !